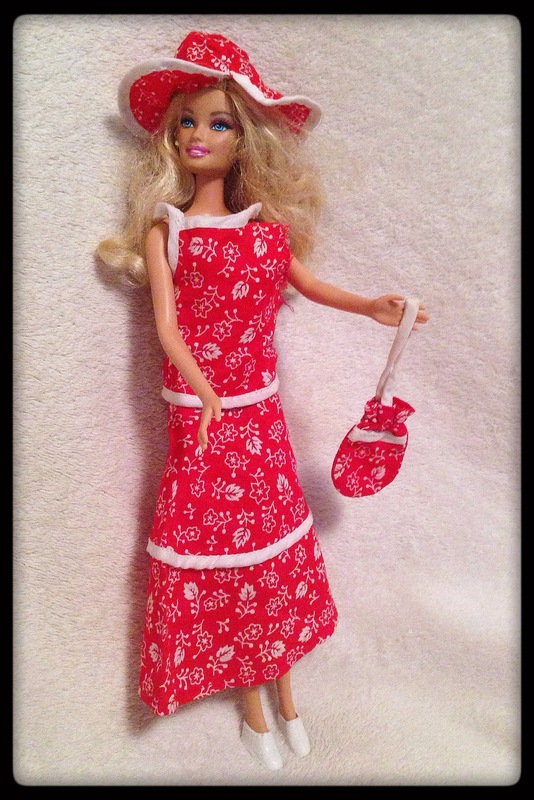 Giant Bag of Clothes, Part 3 | Barbie Who? The blog is back! I apologize for my absence these last few weeks. Due to family circumstances, travel, and illness I was unable to post anything (or get much work done, either). I will do my best to get things posted these next few weeks, but we are moving for my husband’s job in two months. For anyone who has moved on their own with kids (we’re putting all our junk in a rental truck and driving it ourselves – eek!) you know that two months isn’t much time at all to get everything in order. Much of my free time will be dedicated towards that cause. Still, I promise to do my best to have something to post during this turbulent time – hopefully something along the lines of once per week between now and when we get settled at our new home. Your patience and understanding is greatly appreciated during all of this craziness. Now that I have that out of the way, I can focus on more important things. Today, we are finishing up something I started a few posts ago. I will post pictures from the last few outfits from the giant bag of clothes I purchased before my absence. I hope you enjoy it! This doll/outfit combo is one of my favorites for the entire bag! 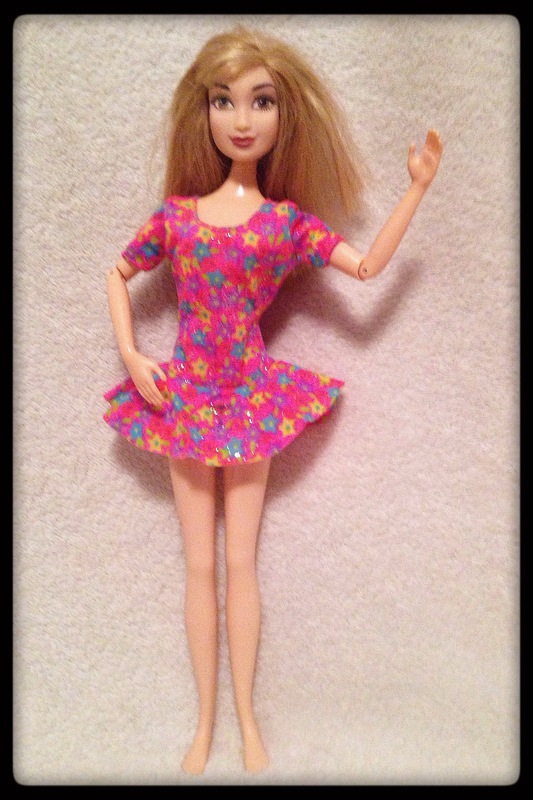 I love Taylor Swift’s music, and her doll is absolutely lovely. 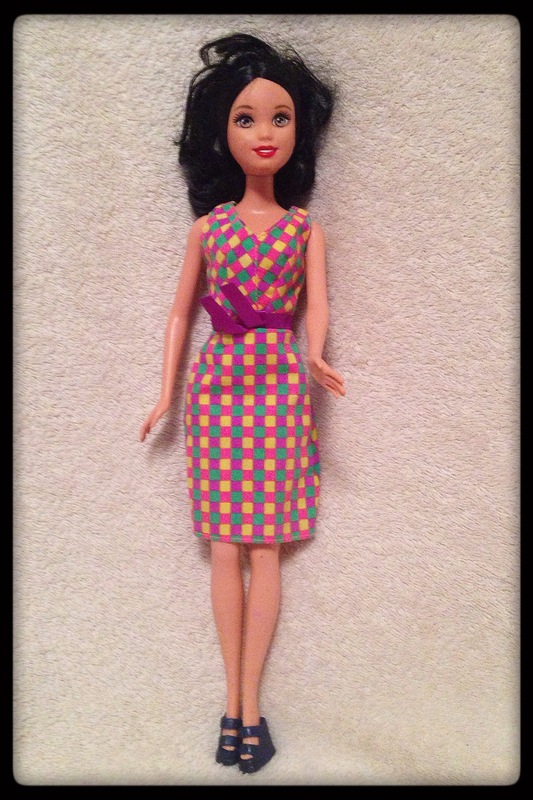 I like how the colors of the top and pants compliment the softness of this doll’s face and hair. I originally bought this doll to make a weeping angel craft, but luckily I never found the textured spray paint needed to complete it. I now appreciate how nice this doll is and I am happy that she gets to wear this instead of angelic shrouds. 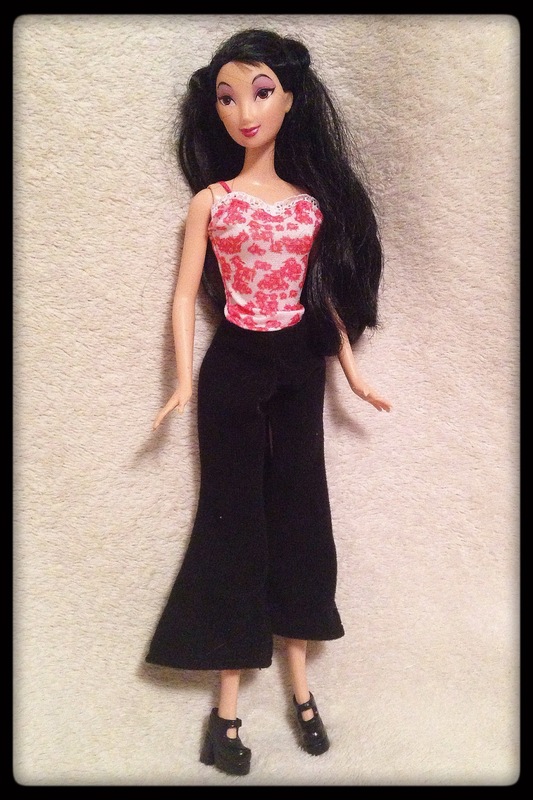 Mulan was one of the last dolls that I clothed, and finding an outfit that fit her hips was not easy. They are a bit bigger (belly-button body type) than most of the remaining pants could fit. Luckily, these black pants worked perfectly. I like how delicate the shirt is and how it compliments Mulan’s sly smile. I also like the chunky Mary-Jane shoes that match the pants. I wish that I could walk in those things! I am notoriously clumsy, and heels like that would be downright dangerous on my hooves. Oh Mulan, you’re living the dream. This outfit may win the award for most ironic doll/outfit combination. 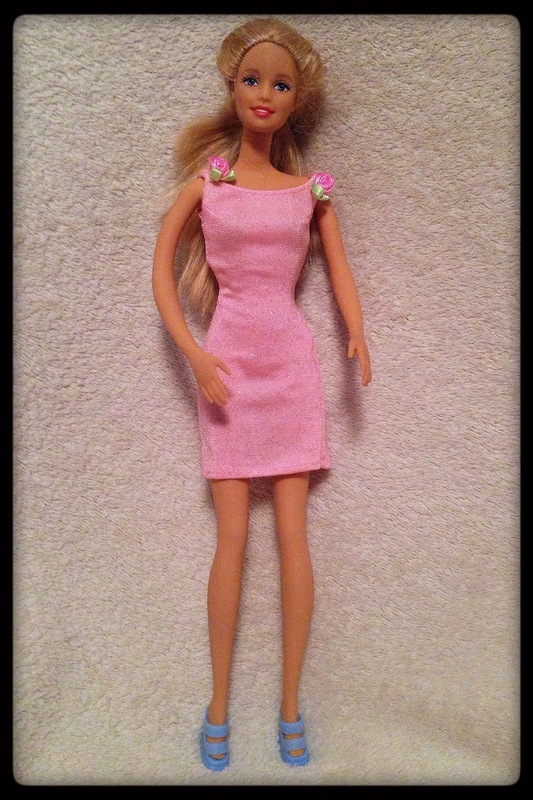 This is a Flavas P.Bo doll in a pink, flowery dress. For those who aren’t familiar, the Flavas dolls were supposed to be the hip, urban counterpart to Barbie. If Barbie was The Sims, the Flavas were The Urbs. Unfortunately, this line of dolls never caught on, so not many were produced in the line. Having unknowingly found one was lucky on my part, and having her in this decidedly yuppy attire brings a smile to my face. Sometimes, we have to appreciate the little things. Varsity Barbie! Well, not quite. I’ll be honest; this outfit is from the bottom of the barrel. I was nearing the last few single pieces of clothes, and I had to figure out which pieces matched well enough to wear. This is what I came up with! I found another cute pair of slip-on shoes that match the jacket, and that pulls it all together. I feel lucky that the bag came with so many shoes. This outfit is torn quite extensively, but I did my best to put it on the doll and take a picture that minimizes the damage. The entire left side of the dress is ripped from the neck, through the arm, and into the back. I really wanted to show you this outfit because I like the pattern of the dress and the matching accessories. This hat rocks so, so much! I want to mend it just to keep the set intact, but I am not sure if it is salvageable. I will only know when I get in there with my needle. It is another project to add to the queue. This outfit confused me at first. The sleeves were folded in on each other, so at first it seemed more like a straight jacket than a dress. Once I untangled it, I realized how it fit. I like the colors and the unique design of the outfit. It works well with this doll, which I affectionately call Meg. She reminds me of Megara from that Disney Hercules movie, but she is not a Disney doll. She is a random generic doll who is missing a leg. Yep, toddlers are hard on dolls, and this one has paid the price. 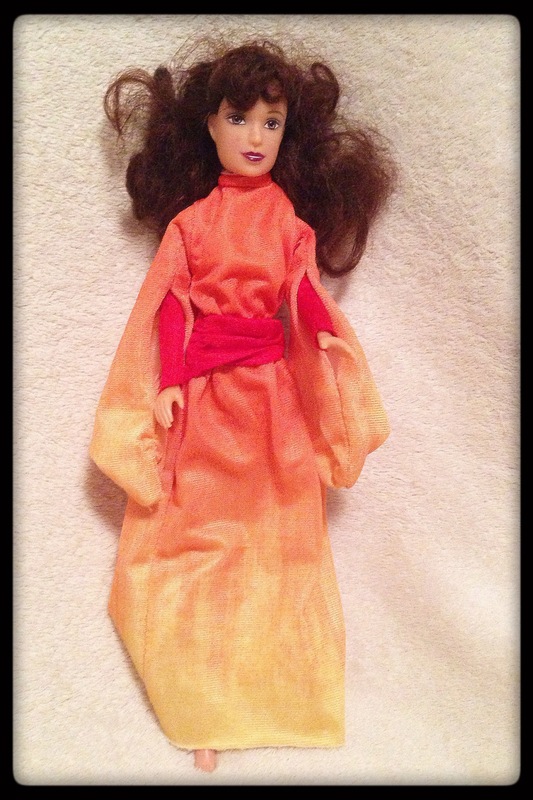 Thank-you Audrey B. for telling me that this dress comes from the Star Wars Episode 1 Hidden Majesty Queen Amidala doll. You can see a picture of it here! I had no idea it was from a Star Wars doll. Very cool, and thank you again for recognizing this dress. This is the bendy Cheer Leader Barbie in a pink bride’s maid dress. Perhaps she wants to be invited to Donna’s wedding? If she does get the invite, she’ll have to find a pair of matching shoes. I’m sure that I can help her with that, though. I still have high hopes for doing Donna after I finish the pair of Ood I am currently working on. If I don’t find the skein of white thread, I will buy a new one. The one good thing about moving is that you take inventory of everything as you pack. I’m hoping this will work to my advantage. This dress is so delightfully retro, so of course Snow White had to wear it. The colors remind me of the 60’s and all of the cool clothes we see on Mad Men. I adore it! I also like the shoes that I chose for it – a pair of chunky pumps that fit perfectly on her dainty feet. Overall, this outfit is another awesome and functional find. That’s it! Wow, it is hard to believe that one single bag had over 23 complete outfits. I am so happy that I don’t have to keep rotating the same few outfits between my dolls when taking pictures of them – finally some variety! This is the single best thing I have bought since starting this blog. 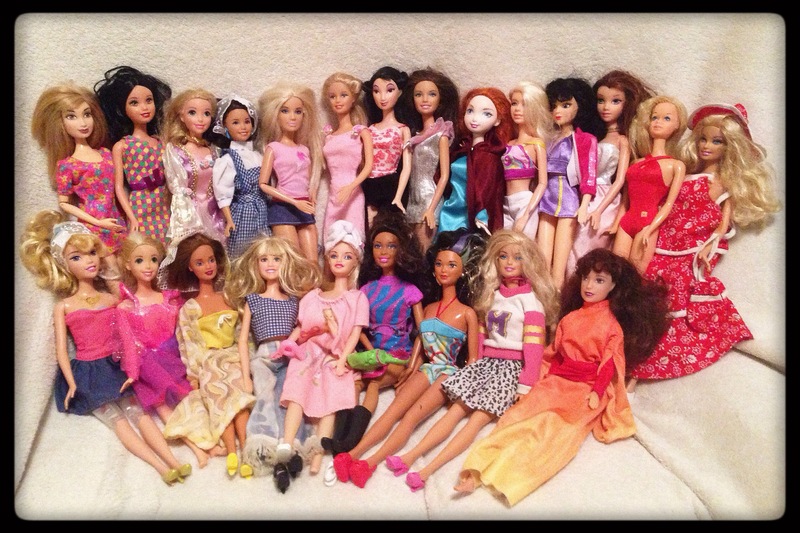 To recap, here is a picture of all the dolls wearing all the clothes from the giant bag of clothes. It brings a smile to my face to see them all together, especially after being away for so long. I am currently making progress on the pair of Ood pants. It is slow going because I have been ill this last week, but I am doing my best to make a few rows of progress every day. Hopefully I will have them done for next week’s post. If I don’t finish the pants, I will do a blog post about something else – perhaps doing their hair so that it will fit under the mask. We shall see! Until then, I hope you all have a fantastic week. You mentioned the weeping angels in here and when I saw that dress on the one-legged doll, I thought it would be a perfect weeping angel dress if you spray painted it gray. I know we sell that stone textured spray paint at Michaels where I work. You are so right! That dress would be great for an angel. And thank you for telling me where to find that textures spray paint. We have a Michaels near here but I didn’t know they had spray paint. I will make sure to stop by the next time I’m in the city. We have paint of just about every description. 😜 Spray paint is in the craft paint section and is locked up in our store to keep the kids out. PS: be sure to get the coupon off the website before you go. There is almost always a 40 or 50% off coupon available. You can print it or show it on your phone (be sure you get to the point the bar code shows or it isn’t a coupon yet). Awesome! I am going to do that first thing when we get to our new home. You can’t beat a deal like that! Sorry to hear that you haven’t been well, and moving! The last time we moved was nearly 13 years ago after living in the same house for 25 years. I never, ever want to have to do that again although age and health may eventually take the decision out of our hands. On the bright side at least you can try and get all your doll/ craft stuff together as you pack. Wasn’t that big bag of clothes a great find? I really enjoyed seeing all the dolls and their outfits.